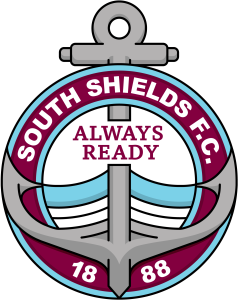 The Durham Challenge Cup final between South Shields and Shildon will take place at Sunderland AFC’s Stadium of Light on Friday, May 3rd, at 7.30pm. Tickets for the final will be priced £10 for adults, and £5 for concessions and children. Ahead of tickets going on sale, the club would like to make supporters aware of a potential fixture conflict. Should we be competing in the Evo-Stik Premier Division play-offs at the end of the season, there is the potential that a play-off game will take place on Saturday, May 4th, the day after the Durham Challenge Cup final. Unfortunately Durham FA have informed us that an alternative date cannot be scheduled for the final. Therefore, should this situation arise, and given promotion is the main priority for the club, it would have a serious impact on team selection for the final, and the seniority of those players available to play. The club is awaiting information on when tickets will go on sale, and will inform supporters as soon as details are available.